Candy canes are one of the sweetest things about Christmas (pun intended). Of course, many kids who indulge in this minty treat end up with sticky fingers and a sugar high. Well, I can’t promise you won’t get sticky fingers (not too sticky though), but this adorable candy cane Christmas craft for kids won’t rot your teeth. 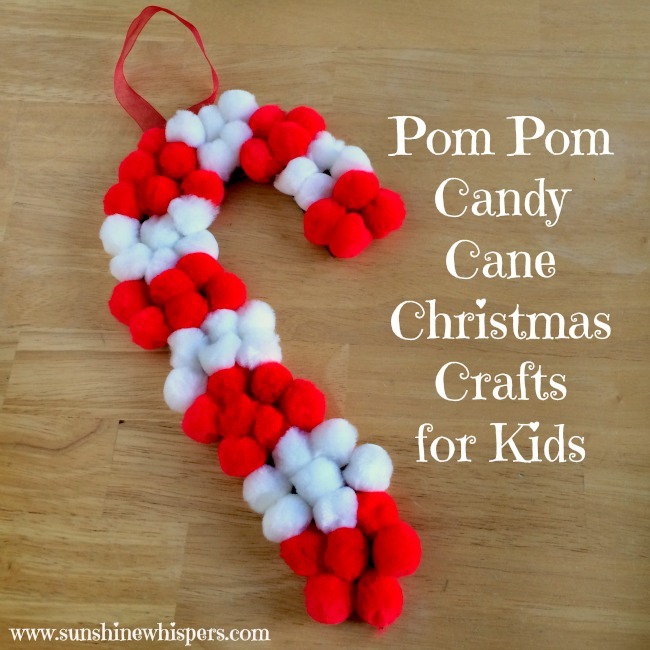 Read on to see how easy and fun these candy canes are to create. Draw the candy cane onto the piece of cardboard. 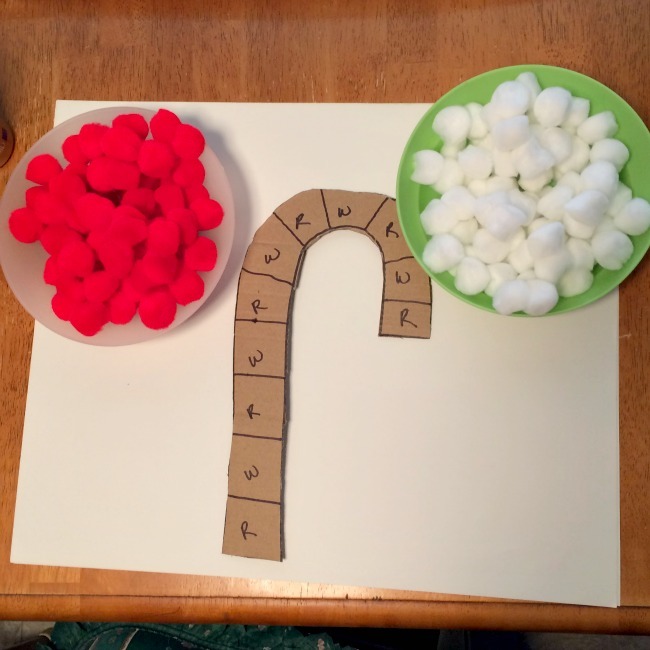 As you draw the lines for the red and white sections of the candy cane, label each section R & W alternately. This will help guide even young children in how to recognize letters, colors, and patterns. Cut the candy cane out of the cardboard. Put the red and white pom poms in two separate bowls. 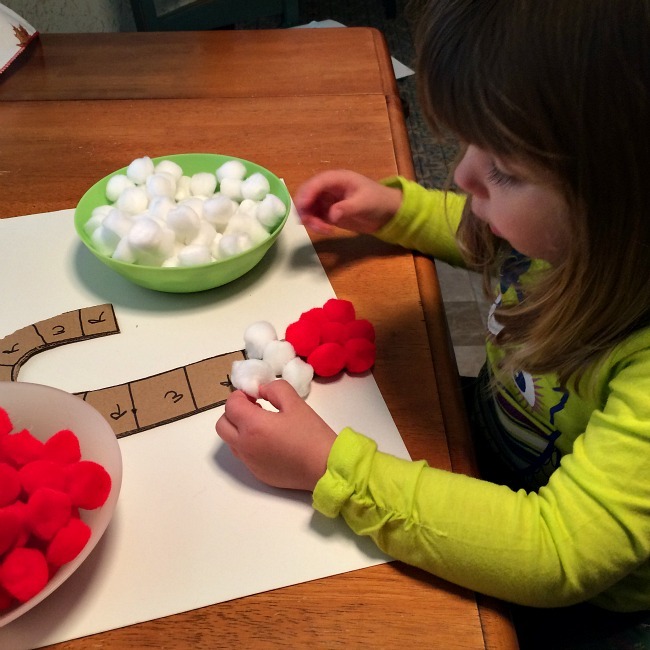 Working with your child, squeeze glue onto one section at a time and then let them stick on the pom poms. You might want to help, not because they will need it. Only, that kids seem to think crafts are more fun when Mom or Dad do it with them. 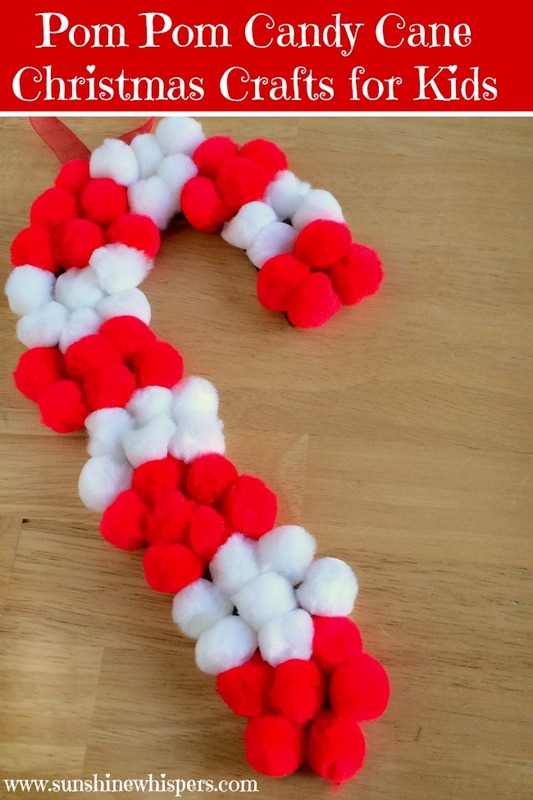 Work your way up the candy cane until each section is filled with pom poms and the candy cane… looks like a candy cane. Let the pom poms dry. Cut a 5-6″ length of ribbon. Fold it in half. With either craft glue or a hot glue gun (if you want fast results like I do), secure the ribbon loop to the back of the candy cane in order to hang it. And that is the entire craft. Isn’t it cute? I have to say, this craft is super easy to create. It was fun but didn’t take a lot of time.. maybe 20 minutes top from set up to clean up. Plus, other than a little glue, there is virtually no mess. How great is that? What simple crafts do you love to make with your kids? I would love to hear your ideas! Thanks for reading and Happy holiday crafting!